Day Three of the Seamaster 2017 ITTF World Tour Qatar Open will see the Women's and Men's Singles events be narrowed down to two players each as the race for the respective finals enters the home straight on Saturday 25th February. The day will start off with quarter-finals action from both singles competitions before concluding with semi-final fixtures to determine which players will compete in the finals. Japan’s Mima Ito has three ITTF World Tour Women’s Singles titles to her name to date, and the 16-year-old will be hoping to fight it out for a chance to claim a fourth trophy. However, first the no.6 seed will have to negotiate China’s Wang Manyu in the quarter-finals, with a potential semi-finals fixture being on the cards against either Singapore’s Feng Tianwei or Gu Yuting of China. Natalia Partyka has been one of the surprise players at the Seamaster 2017 ITTF World Tour Qatar Open so far, with the Polish contestant having picked up notable victories over Wu Yang (11-7, 9-11, 11-9, 9-11, 11-4, 4-11, 11-9), who was seeded seventh for the category, and Yang Haeun (11-9, 12-10, 11-5, 13-11) in the previous rounds. Next up for the five-times Paralympic Games gold medal winner Natalia Partyka is a meeting with Germany’s Shan Xiaona, following her stunning Day Two success against the top seed Zhu Yuling in the Round of 16 (11-8, 6-11, 11-9, 12-10, 11-7). The winner of the tie between Natalia Partyka and Shan Xiaona will take on either Cheng I-Ching or Chen Meng in the last four. 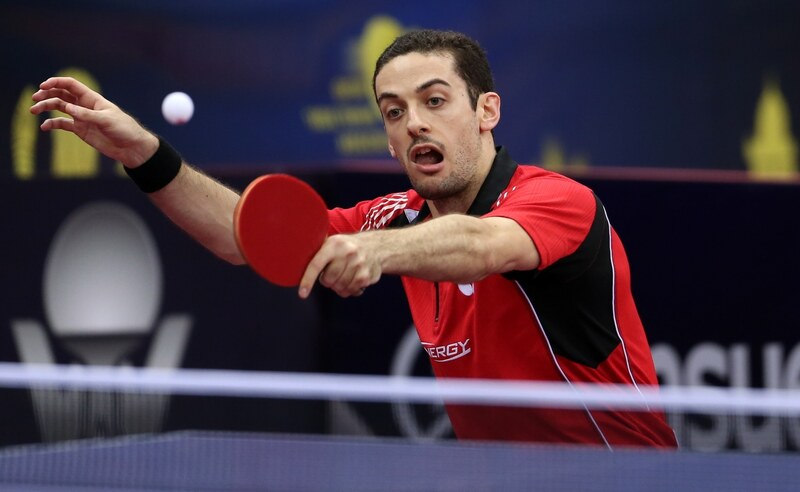 Portugal’s Marcos Freitas was given a big scare in the Men’s Singles last 16 when the 12th seed fell 1-3 behind to Tomislav Pucar of Croatia, before eventually recovering to edge his way to a 4-3 victory (7-11, 11-6, 8-11, 11-13, 11-3, 11-6, 11-6). Ma Long, who is seeded first for the event, is the next opponent for Marcos Freitas. The Chinese competitor will be the favourite to progress from the tie, but if the 2017 Qatar Open has taught us anything, that is to expect a shock result when you least anticipate it. Definitely a match to watch closely. The other match in the top half of the quarter-finals draw will see Chinese Taipei’s Chuang Chih-Yuan and Japan’s Koki Niwa go head-to-head. One of the standout results at the tournament in Doha on Day Two was Masaki Yoshida’s stunning triumph over Germany’s Dimitrij Ovtcharov (11-6, 6-11, 4-11, 11-7, 11-9, 11-8), and the Japanese player will be hoping to produce an even greater shock on Day Three as he prepares to take on the second seed Fan Zhendong for a spot in the semi-finals. Fang Bo and Liang Jingkun are set to do battle in an all-Chinese quarter-finals match, with the victorious player moving through to face the winner of Masaki Yoshida’s tie against Fan Zhendong.